Lewis Hamilton wants Formula 1 tyre supplier Pirelli to move "three steps softer" with its 2019 selection in order to remove "ridiculous" one-stop races. Pirelli expanded its tyre range for this year, moving a step softer with its existing compounds and adding the new hypersoft tyre. Despite this, all but three of the 16 races held so far in 2018 have been won by drivers on a one-stop strategy. 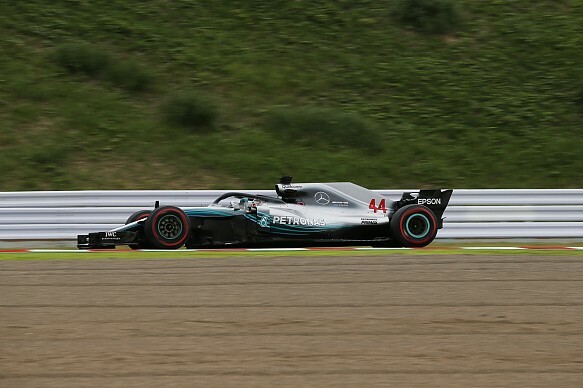 Speaking ahead of the Japanese Grand Prix at Suzuka, Hamilton said he will lobbying Pirelli to make even softer tyres in the future. He also advocated lowering tread thickness, which Pirelli did this year for races in Barcelona, Silverstone and Paul Ricard, to combat overheating. "I've really got to keep pushing Pirelli because the tyres feel great here, but this whole one-stop business is just ridiculous," Hamilton said. "So next year I reckon they've got to go like three or four - maybe three steps softer. "Swing [the compounds] all lower so we have to do at least two stops per race. "It's going to make it a little bit more challenging, and more grip, naturally, as you go to the softer compounds. "And then [have] the thinner gauge, so you have less of the thermal blisters that we see. Maybe [then] we can be able to follow [other cars] and have more racing." 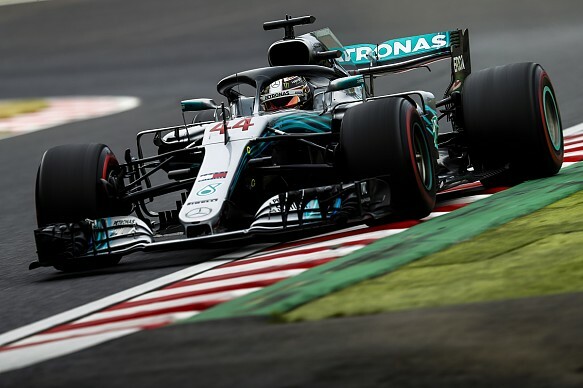 Hamilton topped both Friday practice sessions at Suzuka, and radioed to Mercedes during FP2 that he was "having the best day" driving the W08 around the "awesome" Japanese venue. "Just every time we come here, the last couple of years particularly, the cars are getting faster and faster, and it's incredible," he said after FP2. "The track - they don't make tracks like these anymore. There's very little room for run-off, a little touch of the grass and you're off in the wall. "It's very marginal, on the limit, and it's so quick through that first section. It's probably one of my favourite circuits, if not the favourite. "I'm on the edge everywhere - honestly. Naturally it gets easier once you get to Turn 13 - got the long straight and 130R - it's easy from then for us. "But the first and second section is insane. It's the best rollercoaster ride, that first section, that I've particularly felt in a Formula 1 car. "I'm just loving driving more than ever. When you get in the car, it's just the best. It's honestly so much fun."